The Daily Reporter’s print and online classifieds are Wisconsin’s premier construction marketplace. If you are looking to promote a service or product and to expand your business, this is the place to be and be seen. Our directory offers a low cost way for you to build a consistent marketing plan. 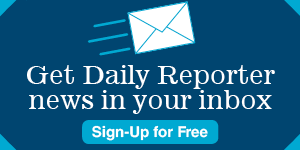 The Daily Reporter also provides recruitment advertising to help you find the most qualified candidate for your open position. All classified advertising rates include print and online for one low price! Your ad will be seen by more than 6,000 daily print readers and 20,000 unique visitors to our website each month. Contact Jenny Byington at (414) 225-1803 or by email for a custom presentation on how The Daily Reporter can help your business grow.